NRDC has updated their site, including a new local seasonal produce and farmer's market search tool! 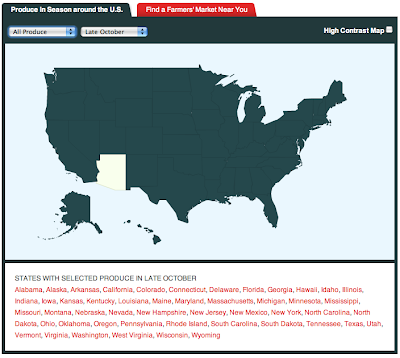 Beets are in season, it seems, in 13 states, and they sure tasted great in our office salad on Monday. We like to chop them up, mix with fresh greens and fennel, and toss with a miso-oil-vinegar dressing (the CSA goods came with locally made miso). Our COO is a part of her local CSA and whenever there's more than her family can consume, the whole office benefits. Sharing is caring!